No one wants the process of choosing a wedding dress to become stressful and we think there’s an ideal dress out there for any body type! 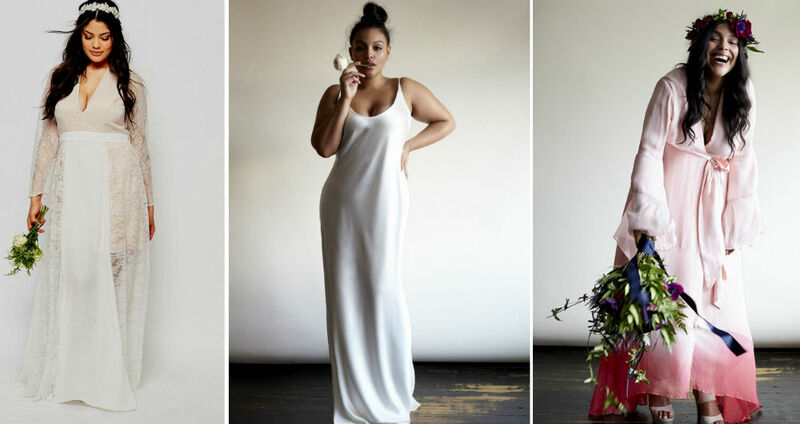 Let’s check out the most gorgeous dresses that are made for plus size women. With any of these, you will get the chicest look and will prove just how unimportant body size actually is! Why choose lace? The small details grab attention and add an elegant touch to the whole look and here we make sure that “less is more”. You can emphasize your neckline without any additional jewelry (which should also fit your wedding style). 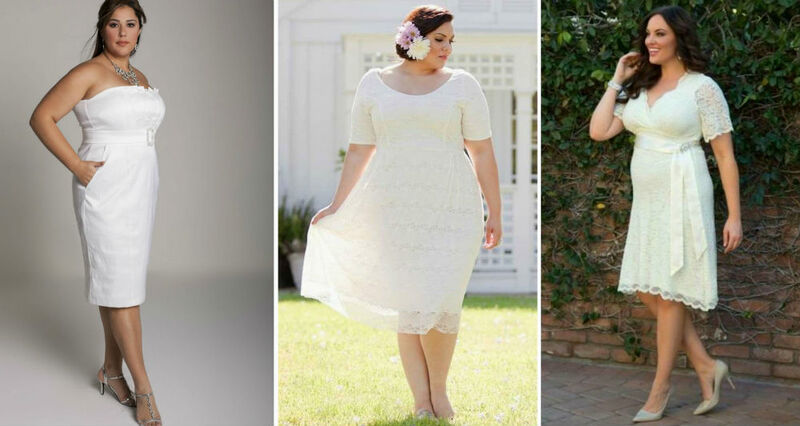 Great choice for a plus size bride. First of all, boho means romantic! If you and your future husband are into a vintage style, you should definitely try on a boho wedding dress. It’s a number one choice for a plus size bride, with less tight fitting elements you will feel comfortable but also extremely chic. With straps or strapless, this kind of dress makes any bride a real queen, highlight the waist and natural curves. Choosing this gown, it’s better to make sure it hugs the waist and hips well (but not too tight!) and becomes loose from the knees (and allows you to walk without any discomfort). The corset that is embedded will do all the work! Chiffon is a good choice for warm weather. 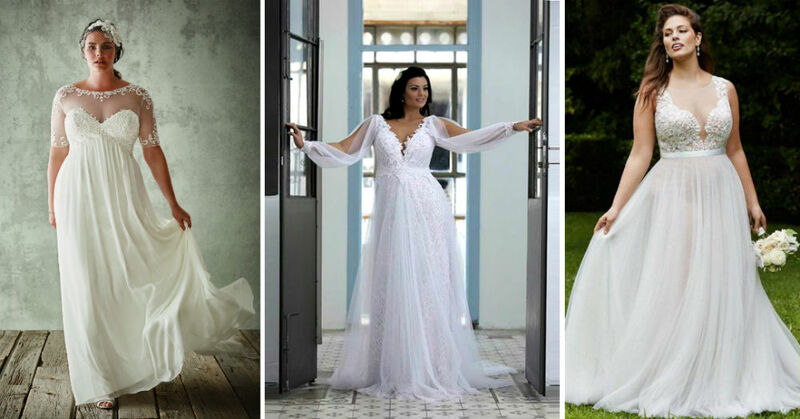 Chiffon is one of the most popular materials for wedding dresses: charming, light but super elegant – this is what your wedding dress should look like. Choose a dress with a fitted top and loose bottom with fitted waistline. Bet every girl wanted this kind of a dress for her wedding! This one will fit brides who has wide hips: the dress will balance your figure showing off your natural waistline. The v-neckline is what will add more elegance to the wedding look, but you can also try a sweetheart neckline for a more romantic image. Who said plus size dresses should hide one’s legs? Knee-length dresses will work well on taller women. If you choose a minimal style, it requires higher heels and some additional jewelry. Try discreet items: a thin bracelet and a subtle necklace. Sleeveless dress will work fine too but check your arms first, fatty, splotchy, uneven or generally saggy skin should be covered for this most special of occasions.